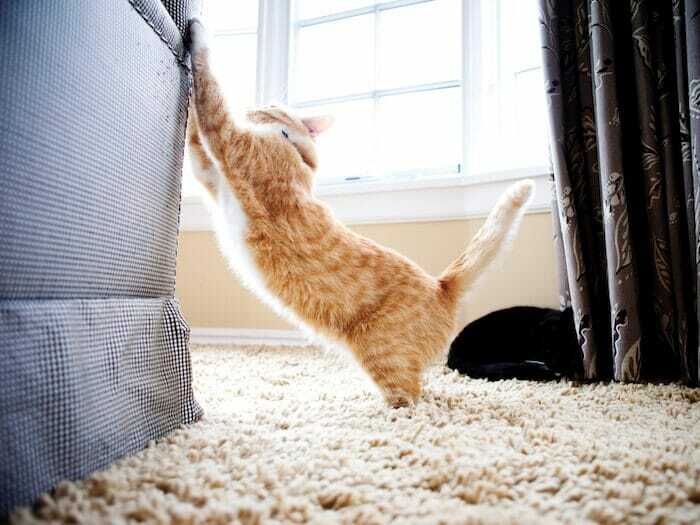 HOW TO STOP A CAT SCRATCHING FURNITURE? Scratching is a natural behavior. Cats mark their territory by scratching. This territory marking is both visible (scratch marks) and invisible. Cats leave “territory messages” from their paws, that only other cats can perceive. In many cases, scratching in your home is in fact your cat’s way of expressing discomfort. you had recent changes in your home (rearranging furniture or moving). 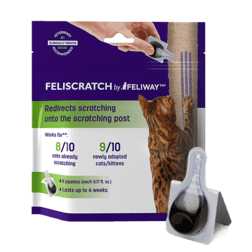 Using FELISCRATCH by FELIWAY will help redirect your cat to the scratching post. For further comfort, use FELIWAY CLASSIC to send "comforting messages" and reassure them they don't need to scratch up your furniture. 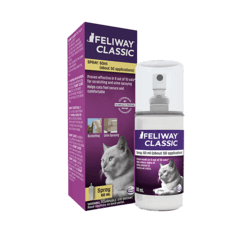 Never spray FELIWAY CLASSIC on the scratching post as it would deter them from using the post.